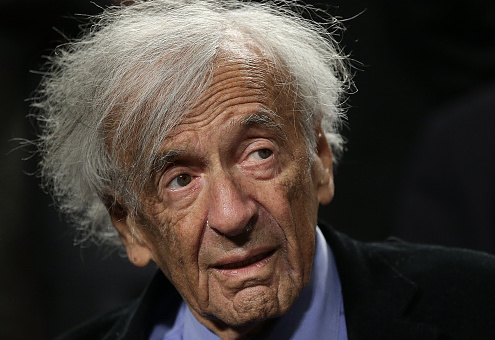 On Monday, President Donald Trump signed the Elie Wiesel Genocide and Atrocities Prevention Act of 2018, which is named after Nobel Laureate and Holocaust survivor Elie Wiesel, who passed away in 2016. The legislation "directs the Department of State to provide training to Foreign Service officers on preventing and responding to genocide and other atrocities," according to a White House press release. The legislation drew praise from the United States Holocaust Memorial Museum. In a statement emailed to the Washington Free Beacon, Naomi Kikoler, deputy director of the Simon-Skjodt Center for the Prevention of Genocide at the museum, called the act "an important step toward developing a bipartisan congressional blueprint for making ‘never again' real by taking practical steps to mitigate the systematic persecution of vulnerable groups." "The report noted that genocide and related crimes against humanity are not inevitable and ‘preventing genocide is a goal that can be achieved with the right organizational structures, strategies, and partnerships—in short, with the right blueprint,'" the statement continued. The bill was first introduced in 2017 by Rep. Ann Wagner (R., Mo.) and former Democratic representative Joe Crowley of New York and senators Ben Cardin (D., Md.) and Todd Young (R., Ind.). The legislation finally passed both chambers last month. The primary goal of the bill is to "help prevent acts of genocide and other atrocity crimes, which threaten national and international security, by enhancing United States Government capacities to prevent, mitigate, and respond to such crises." Toward this end, the act requires the aforementioned training in conflict prevention for Foreign Service officers. The president will also be required to deliver an annual report to Congress reviewing countries at risk of genocide and detailing efforts by the United States to respond to atrocities. The legislation outlines steps which are to be taken by the Atrocities Prevention Board, an interagency body established during the administration of President Barack Obama. The board is expected to "monitor developments throughout the world that heighten the risk of atrocities" and "facilitate the development and implementation of policies to enhance the capacity of the United States to prevent and respond to atrocities worldwide." It should also meet at least biannually "with representatives of nongovernmental organizations and civil society dedicated to atrocity prevention and response." Peter Burns, government relations and policy director at the nonprofit In Defense of Christians, explained to the Free Beacon why his organization supports the act. "As an organization that works a lot on responding to genocide, we also want to look at how we prevent future genocide…. Anything that can be done to prevent atrocities is something that we support and want to get behind," Burns said. This entry was posted in National Security and tagged Ben Cardin, Donald Trump, Holocaust Museum, Joe Crowley, Todd Young. Bookmark the permalink.